Vaseline!! 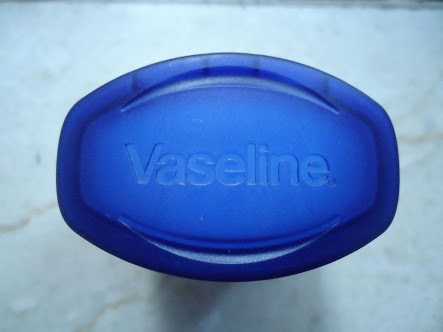 !🙌I dont think anyone is more familiar with the Petroleum Jelly(Vaseline) like a Nigerian.Y’all can relate to how handy it comes during the Harmattan season.Lets not forget how affordable and pocket friendly it is.You guys are not going to believe how amazing petroleum jelly (Vaseline) works,i saw the tricks about few months back and I remembered again this morning so I decided to share it with you guys😊. TO MAKE EYELASHES LONGER AND THICKER: Just apply little on a clean old mascara wand and put it on you eyelashes overnight for at least 2weeks. AS A SUBSTITUTE FOR BODY LOTION/CREAM: Apply some on your skin and no more dry skin problems.Most of us will know this,especially during the harmattan season and this Nigerian weather😩. IT’S THE PERFECT EYESHADOW BOOST: Eyeshadow boost?what I mean is ermm..okay Primer!.it can serve as a primer,it gives the eyeshadow a glossy effect. IT HELPS YOUR PERFUME SCENT STAY LONGER: Try it! Before applying perfume put vaseline on the main points (wrist,neck, inner elbow etc) Thank me later. ITS A MAJOR EXFOLIATION TRICK: All you need to is Mix brown sugar with vaseline and boom! NAILS: It works wonders when applying nail polish,before using the nail polish apply a little jelly to the areas around your nails.it’s easy to remove the ones that fall on the skin after. YOU CAN USE IT IN PLACE OF SHAVING CREAM: You’ll get similar results. I actually used castor oil in an old (cleansed) mascara tube and apply it to my lashes and brows nightly. It actually works really well, and I’ve started to notice a fair amount of regrowth in my severely over plucked brows and an awesome amount of length in my lashes.